King Henry VIII commissioned the scholar John Leland to examine the libraries of all the religious houses in England, and to study in them. This was in 1533 and Leland spent the next few years travelling, going to various monasteries and priories, and compiling lists of significant or unusual books in their libraries. This gave him a taste for travel and an interest in local customs and history. He was well rewarded for his work, and from 1538 had leisure to undertake lengthy journeys all over the kingdom, making notes about all the places he passed through. These notes, known as Leland’s Itinerary, remained in rough form and were not published until 1744; a more recent edition, by John Chandler, 1993, is in Sutton Library. Setting out for Shropshire in the spring of 1543, Leland followed a circuitous route through Warwickshire, passing through Stratford and Birmingham on the way, and Coventry and Rugby on the way back. He rode into Sutton along Birmingham Road, having crossed the River Tame at Salford Bridge. 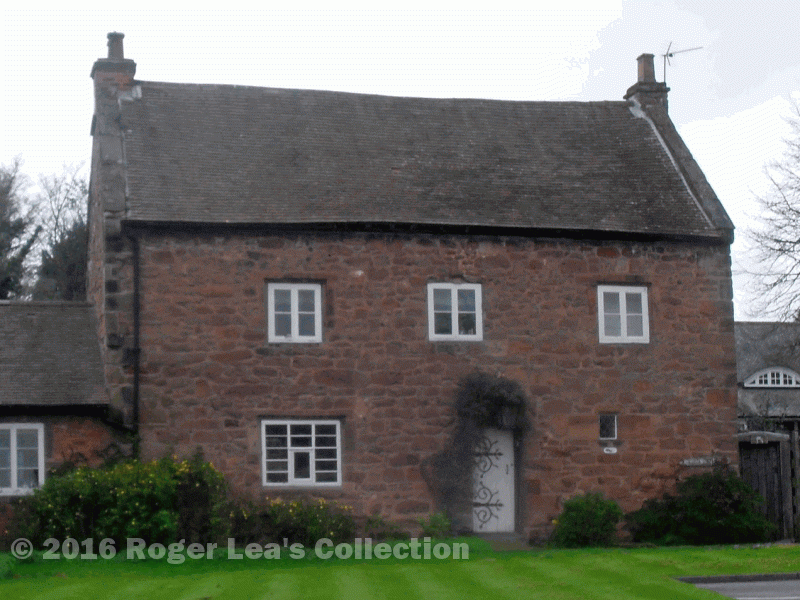 At Maney he passed between the cruck-framed Old Smithy and the ultra-modern Bishop Vesey stone house, then only thirteen years old. Leland remarks that Bishop Vesey “built several attractive stone houses…and installed his poorer relatives in them”. He rode along the Parade, beside a large pool where Gracechurch Centre now stands, “Its dam serves as a road into the town. It is a strong stone wall with an arch through it from which a stream issues out of the pool and turns a mill”. The Park and Chase are mentioned, but the bulk of his account is about Bishop Vesey. Sutton Coldfield’s town charter came into force in 1529, fourteen years before Leland’s visit, so the poor state of the town before the charter was fresh in the memory of local people. Vesey, a native of Sutton, says Leland, “was greatly distressed to see its decline, and obtained from Henry VIII a new charter to reopen its market; he started to rebuild the houses or to build from new.” The Grammar School and Vesey’s disforestation of Sutton Chase are also mentioned. Bishop Vesey was over 80 years old in 1543, but still active in his Exeter diocese, attending Parliament as a member of the House of Lords, and hearing cases in the Star Chamber, so he was not at home when Leland called by. “For himself he has built an attractive brick house and he stays there sometimes. It is built in a grove about half a mile north of Sutton Church.” “He added north and south aisles to the church and a steeple, and has erected an elegant memorial for himself in the wall of the north aisle.” Presumably Leland saw this memorial, which contained the effigy of the bishop which now lies on top of his tomb in the Vesey Chapel - the effigy may have been made from life in 1533, when the aisles are supposed to have been built. Leland left Sutton on his way to Tamworth, remarking “And so Sutton Coldfield has been placed on a sound footing by Bishop Harman and is growing daily.” (The quotations are from Chandler’s edition, his translation of the Latin and modernising of the English). “Ye Olde Stone House” in Maney was a new stone house when John Leland rode by in 1543.